Earn $0.58 in Rewards credit. Click to learn more. Trusted by athletes, adventurers, and limit-pushers in the world's most extreme and unforgiving climates, Dermatone Skin Protectant is the only balm you need for your adventures. It's light, non-greasy, water- and sweat-resistant so you can apply and carry on forging your way through nature's worst. 0.5 oz tin fits in jersey pocket or saddle / handlebar bag. UVA and UVB protectant. 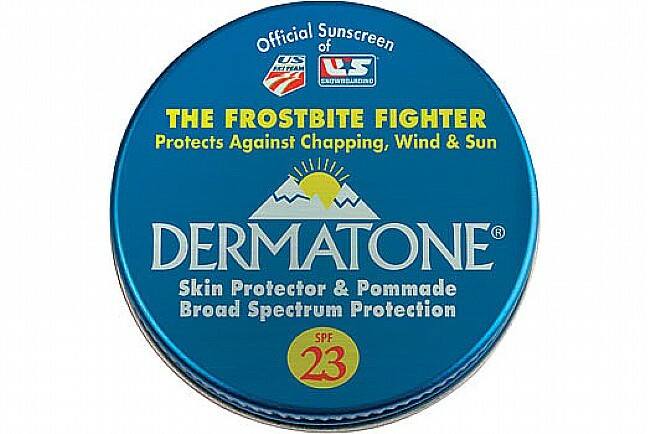 SPF 23.